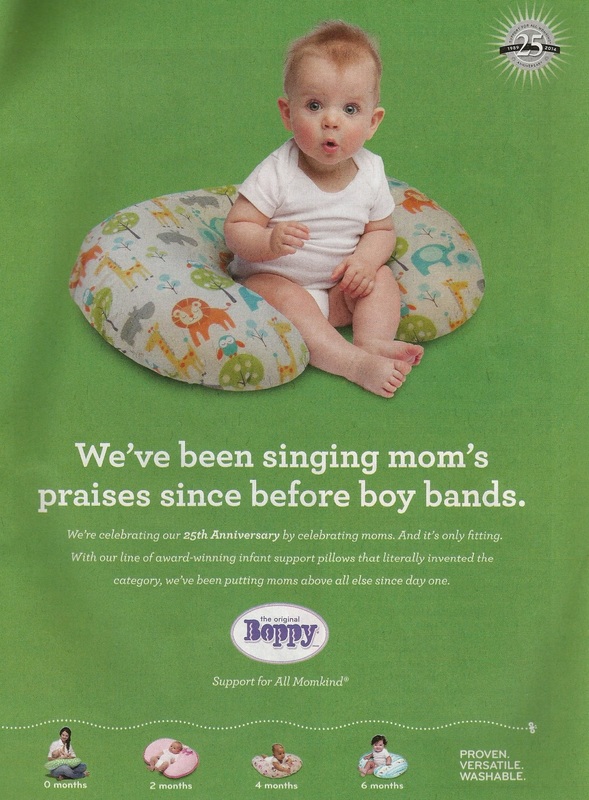 Boppy Company, why does it have to be this way? We think you have a really nice product that works, but when you openly and actively market your product to the point of purposely excluding dads (note pictured ad) – well, that’s when we have to step in. We don’t think anyone doubts that the Boppy is a “mom friendly” item by nature. Its frilly, cute patterns and soft, cushiony look will immediately appeal to a more feminine side. That’s perfectly ok, and there’s nothing wrong with that. Men/dads and women/moms are different – we say celebrate that, but don’t tell dads by your intentional exclusion that baby products aren’t for them. Don’t tell dads that they’re less of a parent to their babies than moms. Don’t exclude dads from the party. Don’t make them feel left out. Rather, use your business sense and marketing savvy by selling it to everyone humanly possible! Are you really afraid that if you take the word “mom” off everything that women won’t notice you? Or that it won’t feel as personalized? Or that suddenly you’re letting in that rough, manly guy on the decision-making process who doesn’t have any business offering input, who doesn’t know anything about caring for babies, and who shouldn’t have any part of that exclusive shopping experience usually saved for the mom-to-be and her mom? Comparisons can be helpful to illustrate a point. 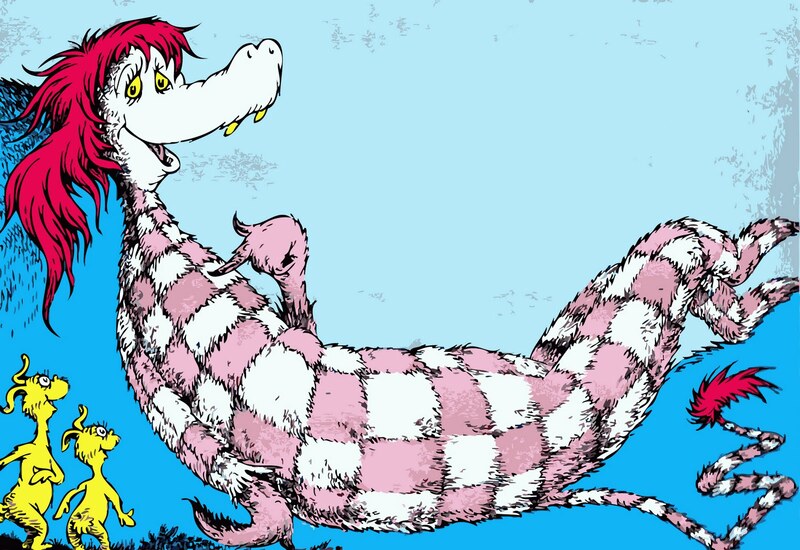 So, let’s take a look at the National Football League. The NFL is one of the most wildly successful American ventures around, and it has been for decades: huge TV ratings, massive fan interest, tickets sold by the millions, team apparel worn by fans everywhere you look, fantasy leagues, its own TV network. It also has that little end-of-the-season championship game that a lot of people like to watch, sometimes its commercials even moreso. Yet, there’s no doubting this is a man’s game. No female has ever played in an NFL game (though we’d like to see that change someday). The rough, tough nature of football appeals heavily to the masculine nature. But does that mean that women can’t enjoy the game? Does that mean that women can’t be involved elsewhere? Of course not. Throughout the NFL, we see female journalists, TV commentators, cheerleaders, front office executives, sideline personnel, and on and on. A female singer has opened one of network TV’s most popular shows — NBC’s Sunday Night Football — since its inception. Now let’s take a look at its website, nfl.com. Do you see any slogan like, A Game for all Mankind? A menu tab titled Dad Center? Helpful Fantasy Football Topics from the Guy Center? A special offer titled, NFLhood for Dad? Do you see any special anniversary section that says, Thanks guys/men/dads – for supporting the NFL – we celebrate you! Do you see any kind of female or mom exclusion going on anywhere? Didn’t think so. If anything, they strive to recognize women through its Pinktober accessories, a color normally associated with femininity. Sure, the NFL has its share of Ray Rice PR nightmares and a long way to go toward acknowledging proper treatment of women. But this blog is specifically about marketing and advertising. When it comes to marketing, the NFL has a track record of phenomenal success, and advertisers pay big money to be a part of it. Bobby, perhaps it’s time to take a serious look at your marketing message, and how you can better capitalize on selling to dads. Take a close look at the NFL and how it succeeds. Better yet, take a moment to talk to some dads and ask how they feel. All too often, we hear from dads who feel left out of things, and miss special moments, and it’s time for the exclusion to stop at least in the ad world. Try the shoe, er the Boppy, on the other foot. 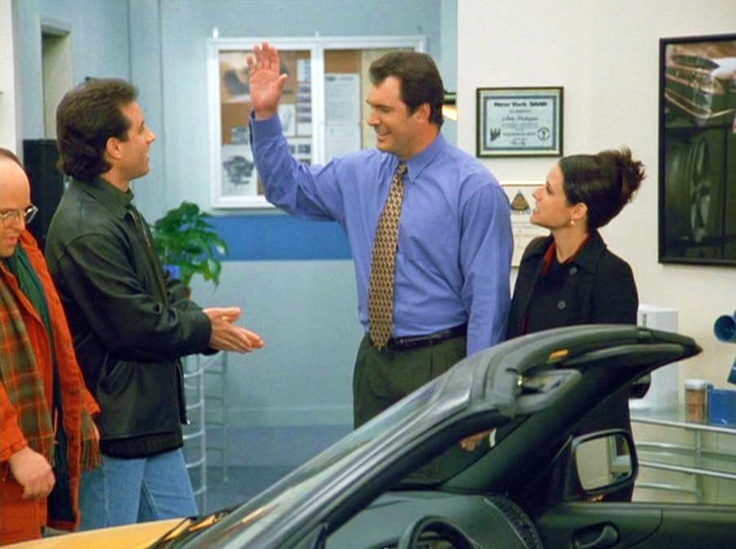 Later in this same episode, George’s friends Jerry and Elaine point out that toilet paper has become softer, there’s more sheets per roll and it comes in a variety of colors. Nevertheless, George is ultimately right. Despite some minor tweaks, there’s really not much that can be done with toilet paper; the basic concept has remained the same. A magazine ad, however, has no limitation when it comes to creativity and reinventing itself. The beginning canvas of an advertisement starts as blank as Puddy’s mind, and the advertising agency has complete control to design and say whatever it pleases. Why then, have we not advanced further when it comes to the way retailers sell their products? Take, for instance, the two ads featured in this entry. The tie ad might have been socially acceptable at one time, but it is taboo now. 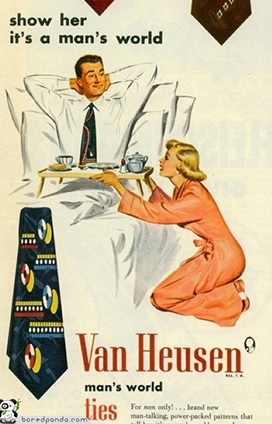 If used today Van Heusen would surely get some icy stares from the media, public, and anyone with a pulse. That ad today might even be deemed illegal. But what about Texas Toast’s humdinger? 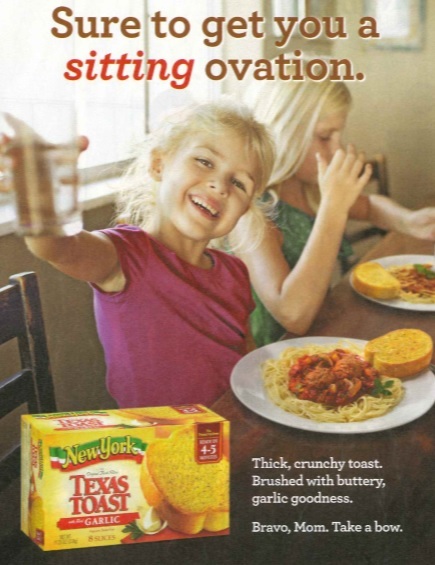 Just a harmless ad with cute girls giving thanks to mom for the delicious Texas Toast on their plates? Hardly. The ad perpetuates the same stereotype existing at the time of the Van Heusen ad, that moms are the ones who take care of their kids. Why isn’t it taboo? 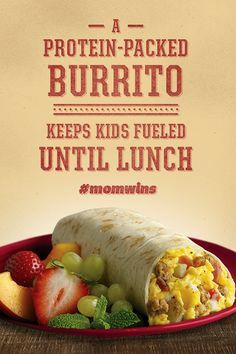 It’s because ad execs are still trapped in a bygone era where market research tells them moms buys the Texas Toast, not dads. Even if that were true, why slight dads and propagate the stereotype? The NFL has only four black head coaches out of 32 teams, but does that mean blacks can’t coach? Of course not! And in other news, dads have reportedly been seen at grocery stores from time to time. We here at dadmarketing think Texas Toast needs to revise their ads in the future, or we’ll tear them out of the magazine, and promptly put them in the same place we do toilet paper. 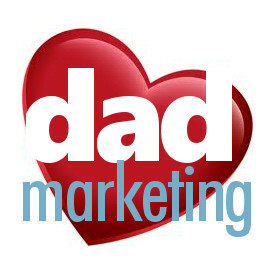 Why would any company waste time marketing to dads? It’s not about who uses the card, but about everything before the credit card is swiped – Anybody can put a Star Wars t-shirt in a shopping cart, but more went into that decision than you think. What, or who, influenced it? Maybe it’s dad’s love of the movie franchise that rubbed off on their kids. Maybe it was a commercial the family saw while watching a hockey game together. Maybe it is dad’s influence on a certain store the family frequents. Maybe dad researched everything about the product online for the mom. Maybe dad simply looks good in the shirt. Any marketer can sit all day long in a store and prove that it was mom after mom who swiped that credit card in Target, but a wise researcher will investigate the whole story. No matter how small the slice is on the pie chart, it’s still a slice, and it still tastes like pie – I heard a weathercaster once say, “Even though there’s a 70% chance of rain today, remember that there’s a 30% chance it won’t.” So, let’s say for example, that moms handle 70% of the purchasing. Is a company really doing to ignore that potential 30% of dads who buy stuff? Cereal makers do all the time, and if I was their CEO, I’d start looking for a new marketing team, and fast. Isn’t equality a goal? – When you alienate someone and make them feel left out, you’re bound to really turn them off. What’s wrong with marketing to both mom and dad at the same time? Nothing! 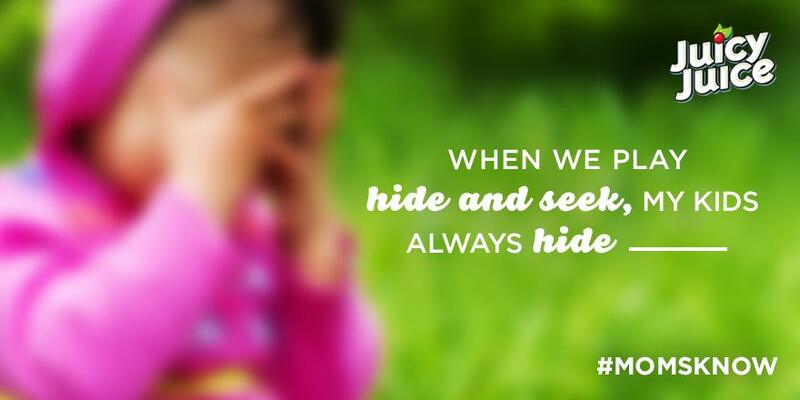 You’ll still have the mom in your good graces, and the dad will feel like he was included, too. The good baby websites, I’ve found, are the ones that use the word “parent” and have photos of the newborn baby with both mom and dad. Isn’t that a cool thing to see? Look no further than sports – If you don’t follow sports, check out the power of the NFL, NASCAR, or any other sports league, and you’ll find it dominated by dads who have an allegiance to athletes and their games like no other. It’s a gazillion dollar industry that continues to grow and expand with time. Dads eat and buy cereal – I think June Cleaver gets a bum rap. Everyone likes to make her the poster child for old-fashioned, outdated behavior. Leave it to Beaver was a good show with wholesome characters, simply a product of its times. 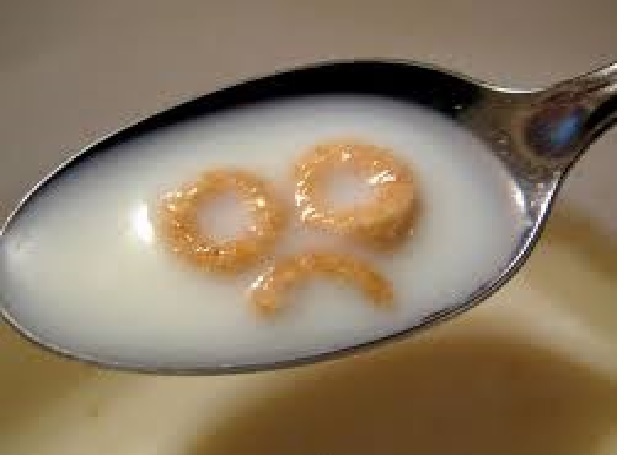 Cereal is notorious for neglecting dads. Kix is a product of its times too, but even a Beaver sequel in the ‘80s didn’t keep using the same formula – it updated for the times. Read our December 17, 2013 entry if you want to learn more about Kix’s useless and archaic orange box. It really isn’t the 1950s anymore, Kix, so hop on board the 2014 bus with the rest of us. 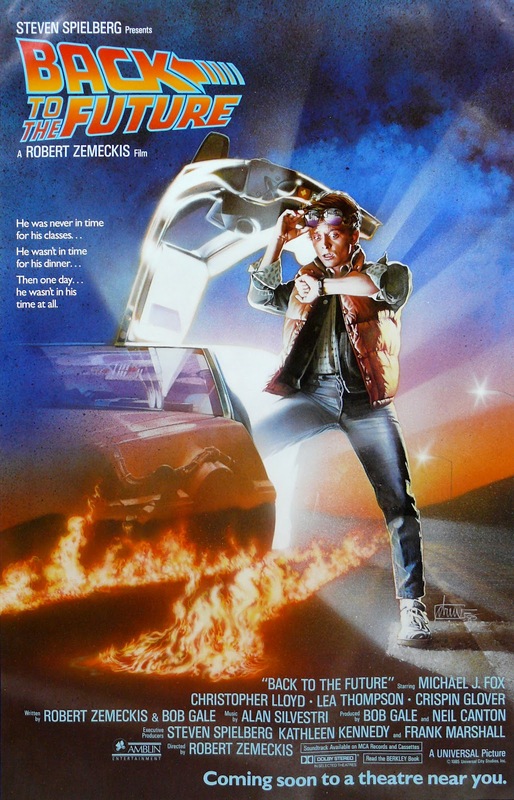 If I was Doc Brown and I had some plutonium, I’d so throw you into a DeLorean and send you “Back to the”…well, you know where. Credit card companies know better – Credit card companies know that their pocket-sized flat payment tools are used by dads, too. That’s why they have dudes in their ads. I’d even go as far to say that credit cards were inherently designed for dads: they’re lightweight and flat since dads don’t like to carry things; they have cool pictures on them; they’re durable; they’re largely free to get (dads like free things); even acquiring one is easy to do. 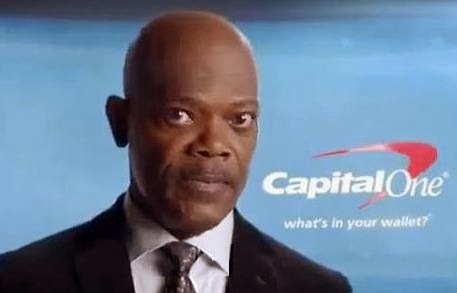 Leave it to Jedi Master tough guy Mace Windu to set the record straight: men do indeed use credit cards as he asks the question to which he already knows the answer, “What’s in your wallet?” Dads carry wallets. Moms carry purses. Closed, the case is. Dad, meet Internet; Internet, meet Dad – Dads and computers met a long time ago, and they realize how to use them. Even if dads don’t always make the final purchase, they’re surely reading about the product beforehand. They’re commenting on it. 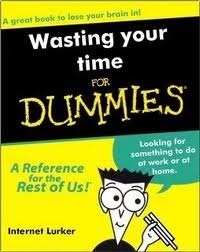 They’re reviewing it. And did you see that Amazon is starting an online grocery store? Frankly, dads are probably purchasing things more and more off the Internet, because every good marketer claims knows that dads don’t like to shop in stores, right? So, watch it marketers, because the slightest misstep and you’ll have more than one dadmarketing site broadcasting it to the world. Dads move, dads think, they eat, they blink. Dads stand, dads sit, they throw, they hit. Dads run, dads fly, they drive, they buy. Dads can do lots of things, you see. So don’t deny their authority.